Cyrus Dadachanji M.D. is a Double Board Certified Anesthesiologist and interventional Pain management physician. 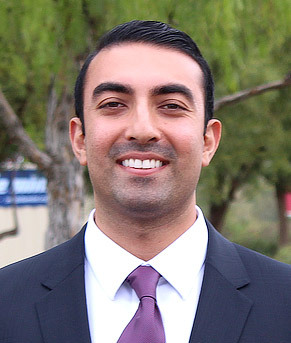 He is a local of the San Diego area with degrees from the University of California San Diego in Psychology B.A. and Biology B.S. He completed both his medical training and his Anesthesiology residency in Philadelphia at Drexel/Hahnemann University Hospital, where he was awarded with Pain Resident of the Year in 2014. He trained at the Cleveland Clinic’s Pain Center and went on to complete an ACGME-accredited Pain Fellowship at the renowned Mount Sinai Hospital in New York City. and Joint pain. In addition, he is an expert in Spinal Cord Stimulation for those with chronic back pain. Also, Dr. Dadachanji has helped pioneer a state of the art procedure for patients with chronic knee pain, alleviating their pain with no need for an incision. Dr. Dadachanji is actively involved in volunteering both locally and internationally. He has served on the board of directors of multiple non-profit organizations, including mission trips to under privileged countries. Dr. Dadachanji enjoys spending time with his friends and family. His hobbies include traveling, surfing, hiking, and serving his community.